We are a small voluntary organisation facing closure if we cannot secure core funding each year, and we need all the help we can get to continue supporting local people through their journeys of recovery from mental ill health. While continuing to put our case for core funding to local and national government we are trying to raise funds month by month just to stay alive. 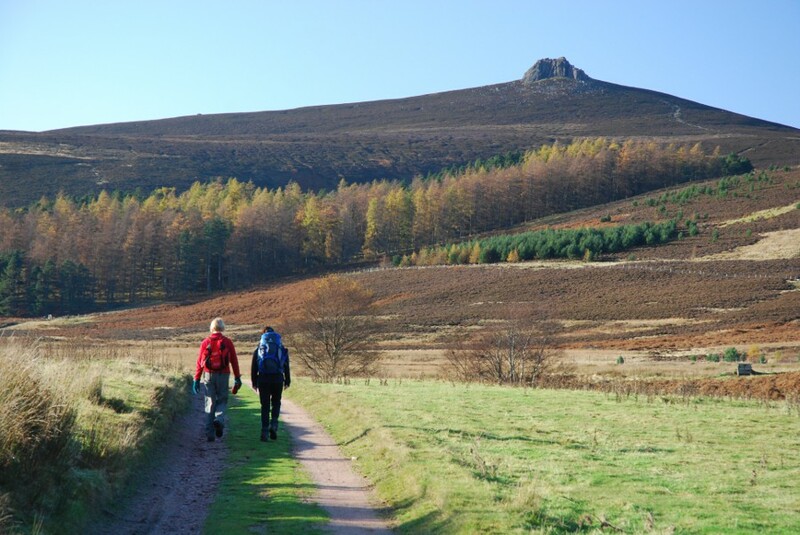 So far we have enjoyed wonderful support from Scottish and Southern's Resilient Communities Fund and from both The Co-op's Local Community Fund and Scotmid's Community Connect initiative(see below), but our need for funding is ongoing. If you would like to help us, please click on the button at the foot of this page, or support one of our campaigns below. Heartfelt thanks from all at Pillar Kincardine! We all need to look after our mental health. 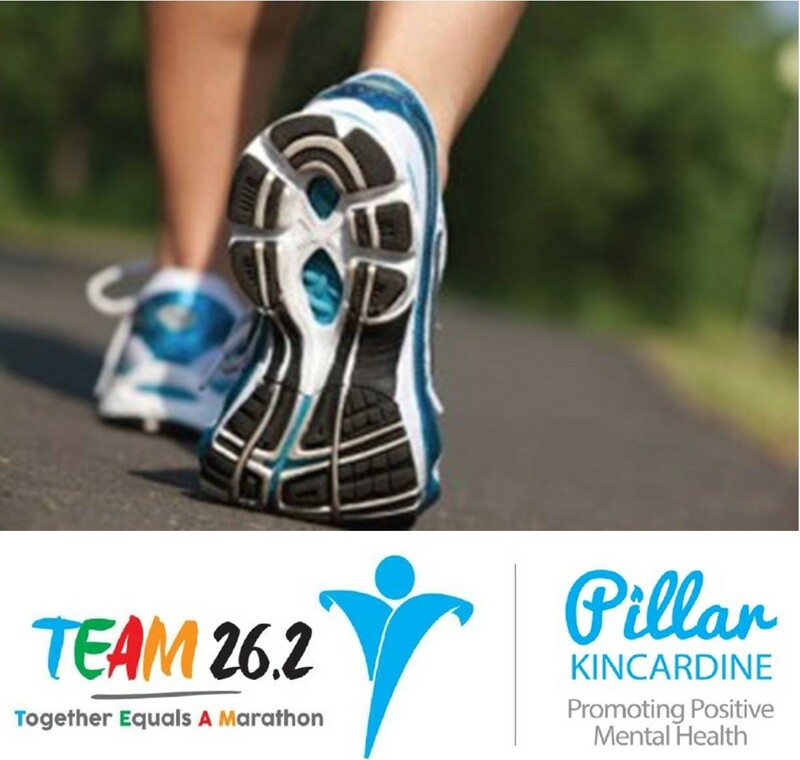 TEAM 26.2 (Together Equals A Marathon) is about folk of all ages and abilities joining in to raise awareness about this important fact and reduce the stigma around mental ill-health which sometimes discourages people from seeking the help they need. In TEAM 26.2, one person captains a team of 27 people and 26 of them (including the captain!) commit to walking a mental health mile. The 27th member then walks a fifth of a mile (385 yards or approx. 500 steps) so that together they achieve a marathon (26.2 miles)! You too can get involved! Last year cyclists took on the 15-mile run from Auchenblae to Stonehaven (with three runners doing 5 miles each) in support of our charity. Sincere thanks to all who supported us including: GSK Montrose, AE Global, Beachwood Services, Susi Adams Clinic Ltd, Greenbank B&B, DG Services, Bakery Bliss, Montrose Carpets Discount Centre, Steamteam, Prographix, and Richard Whyte Plumbing Services. And special thanks to Macphie of Glenbervie who had 7 employees doing the cycle run for us! 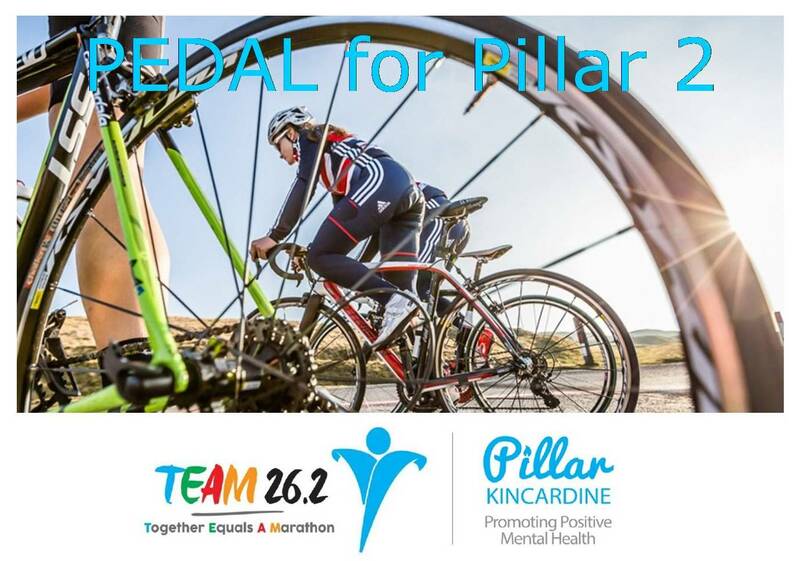 This year, as part of our TEAM 26.2 campaign, participants took on a 26-mile route, beginning and ending at The Waterfront Cafe, 62 Allardice Street, Stonehaven, AB39 2AA. Every time Co-op members buy Co-op branded products and services 1% of their spend goes to a local cause, and we are delighted to say that right now the people of Kincardine & Mearns are helping us to promote positive mental health through the Co-op Local Community Fund. Community Connect is a major new initiative which enables Scotmid members to make a difference in their communities. Every time a Scotmid Co-operative member shops in a Scotmid Food store they can scan their Community Connect Card to receive one Community Connect vote. Members then register and attend our twice yearly member meetings to cast their votes to allocate awards of up to £15,000 to three Good Cause Groups. The SSEN Resilient Communities Fund provides support for "projects which create a stronger, coordinated resilience framework for local communities." In particular the fund supports projects that either 1) "protect the welfare of vulnerable community members through enhancing their resilience and improving community participation and effectiveness;" or 2) "enhance community facilities, services and communication specifically to support the local response in the event of a significant emergency event." Pillar Kincardine was delighted to be awarded a significant amount of funding to develop a project under the 'Vulnerability' criterion, ie protecting the welfare of vulnerable community members. Feel free to ask for more information about our services. You should normally hear from us within 3 working days.